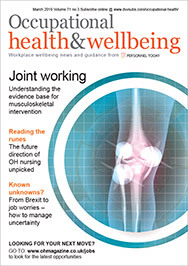 A significant rise in staff workloads will not necessarily harm their health and performance if correct measures are put in place to ensure their wellbeing, according to a nine-month study. The study of 260 workers under “extreme levels of stress” at Cadbury Trebor Bassett showed that when a health and wellness programme was made available to staff it significantly improved overall health, reduced absence and raised productivity – even where staff worked long hours and had no holiday for 10 months. Under the programme, delivered by Nuffield Proactive Health, staff were given presentations on nutrition, personal wellbeing, relaxation, exercise and energy, were taken on a 2km walk to show how easy it is to reach the recommended 10,000 steps a day and received a one-to-one lifestyle counselling session. Blood pressure, body fat, cholesterol, heart rate, lung function and hydration levels were all tested.